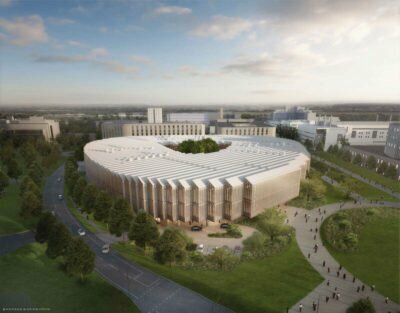 UK biopharma company AstraZeneca and Amgen have secured breakthrough therapy designation from the US Food and Drug Administration (FDA) for their asthma drug tezepelumab. The FDA breakthrough therapy designation for tezepelumab is for the treatment of patients with severe asthma, without an eosinophilic phenotype, who are administered inhaled corticosteroids/long-acting beta2-agonists with or without oral corticosteroids and additional asthma controllers. Tezepelumab, which is being developed by AstraZeneca in partnership with Amgen, has been designed to block TSLP, which is an epithelial cytokine known to play a key role in the initiation and persistence of airway inflammation. It is believed that inhibiting thymic stromal lymphopoietin (TSLP) could stop the release of pro-inflammatory cytokines by immune cells, thereby preventing asthma exacerbations and improving asthma control. AstraZeneca announces FDA breakthrough therapy designation for asthma drug tezepelumab. Photo courtesy of AstraZeneca. AstraZeneca said that because of its activity early in the inflammation cascade, tezepelumab could be appropriate for a vast population of patients suffering from severe, uncontrolled asthma, with or without patient phenotype including T2 biomarker status. The breakthrough therapy designation for tezepelumab has been granted based on the results of a phase 2b trial called PATHWAY in which the asthma drug reduced the annual asthma exacerbation rate to a significant extent compared with placebo in severe asthma patients irrespective of patient phenotype including Type 2 (T2) biomarker status. David M. Reese – executive vice president of Research and Development at Amgen, commenting on the FDA breakthrough therapy designation for tezepelumab asthma drug, said: “The Phase 2b PATHWAY trial data demonstrated tezepelumab’s promise as a novel therapeutic option for a broad population of patients with severe asthma, including those ineligible for currently approved biologic therapies. The breakthrough therapy designation for tezepelumab marks the seventh such designation secured by AstraZeneca from the US regulator since 2014 and is also the first for the UK pharma company in respiratory medicine. Currently, the AstraZeneca and Amgen asthma drug is undergoing a phase 3 trial called PATHFINDER.